lowryder 2 feminised seeds from the joint doctor have been one of our best selling strains since they were released a few years ago. The long-awaited successor to the Joint Doctors flagship strain is finally here. Lowryder #2 is the newest product of the breeders quest to improve the strength, yield and flavour of his original variety while maintaining the unusual characteristics that made it so popular. Lowryder #2 has been infused with superior Santa Maria genetics, a variety known for copious resin production, exotic taste and soaring highs, it is an indica / sativa hybrid originally from Brazil. The cross was subsequently selectively inbred for three generations. 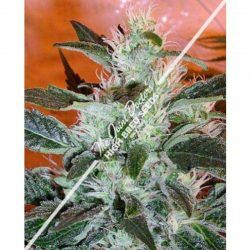 The result is an auto-flowering dwarf that yields a wonderfully strong, head-turning smoke with intoxicating taste. The strength and flavor is backed by copious resin production and much-improved yield and stability. Buds are larger, tighter and more aromatic than the original Lowryder. As with Original Lowryder, no separate room or light cycle is needed to flower Lowryder #2. Outdoors, Lowryder #2 will mature quicker than any non-auto-flowering variety.